The government has rejected MPs' criticism of its arrangements which they said were a threat to the independence of key scrutiny bodies such as Her Majesty's Inspectorate of Constabulary (HMIC). Earlier this year the Public Accounts Select Committee raised concerns that the separation between HM chief inspectors and ministers could be threatened by the way they are appointed by government. The committee's then-chairman Margaret Hodge said: “Chief inspectors are reliant for their appointment, the length of their tenure and the size of their budgets on the very same ministers who are responsible for the sectors they inspect. The committee did not cite any examples of this having happened in practice. The MPs called for a Cabinet Office review of the arrangements, and for the bodies to report directly to parliament rather than just departments like the Home Office. HMIC received a £9.4 million budget boost in the last police funding settlement which saw forces' money cut. As well as HMIC the committee examined the arrangements in prison, probations, borders and prosecution inspectorates. But in a response released today, ministers reject the suggestion that there is anything wrong with the system. They state: “The government disagrees with the committee’s recommendation. 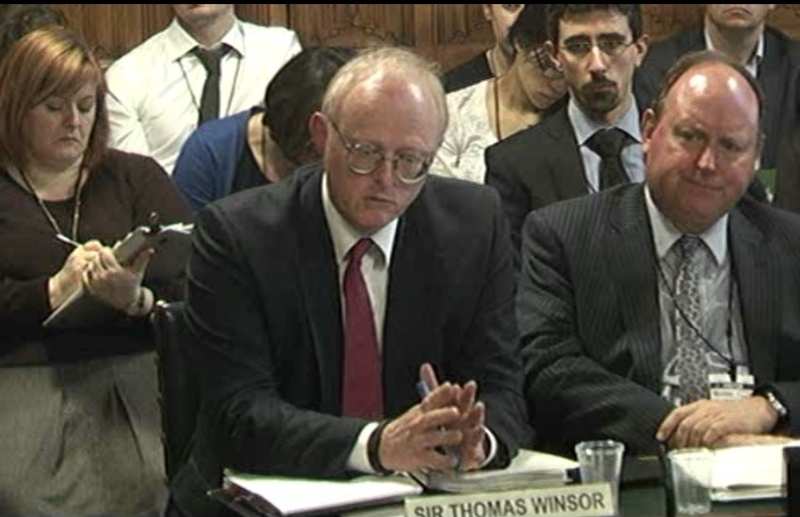 Speaking in front of the committee earlier this year, HM Chief Inspector Sir Tom Winsor said: "Nobody could question my political independence because I was appointed as rail regulator by John Prescott and then as Chief Inspector by Theresa May. "Our accountability is to the public, parliament and media. It is the case that the Home Secretary has the function to approve our inspection programme, which is something I find puzzling but in practice has not been a problem." New committee chairman Meg Hillier MP said: "It is disappointing the government has chosen to reject our predecessor committee’s recommendation and we will consider how best to follow up in our new programme of work." Elsewhere in the report, the government agrees with the committee's view that inspectorates do not follow up their recommendations enough to see if they have been implemented. But the regarding HMIC, the Home Office says that the new annual PEEL assessments will help overcome this issue. The committee also criticised the government over the appointment of the former HM Chief Inspector of Probation Paul McDowell. He stood down in February after his wife was revealed to be a director of Sodexo Justice Services – which had been awarded government contracts to private rehabilitation in six regions. Mrs Hodge called the mishandling of the issue “shocking”. The government response today agrees with the committee's assessment of the situation as “entirely foreseeable” and has said the Ministry of Justice should write to them, explaining itself. Chris Grayling, who was Justice Secretary at the time the appointment was made, has since been shuffled out of the post and replaced by Michael Gove. Permanent Secretary for the Ministry of Justice Ursula Brennan claimed in February that she had no regrets over the appointment.